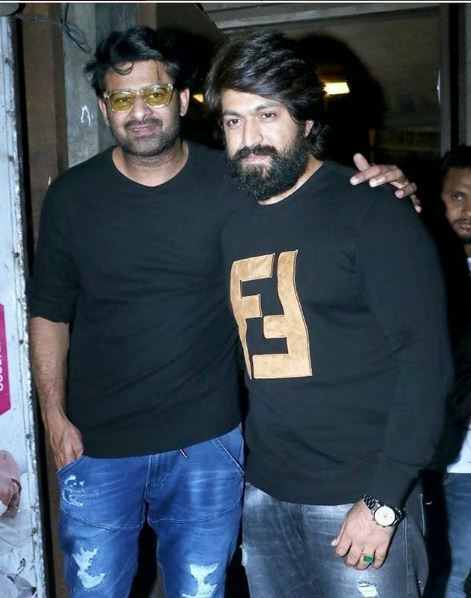 Yash, who has geared up for the release of his upcoming film KGF, was spotted with Baahubali star Prabhas at Mumbai’s Pali Bhawan. South superstars Yash and Prabhas were spotted post dinner in Mumbai on December 7. Yash, who has geared up for the release of his upcoming film KGF, was spotted with Baahubali star Prabhas at Mumbai’s Pali Bhawan. The two superstars were all smiles and posed for the shutterbugs before bidding goodbye to each other post-dinner. It was an utmost delight to see both the talented stars together as they define the action-drama genre. Before leaving, they hugged each other and exchanged pleasantries. 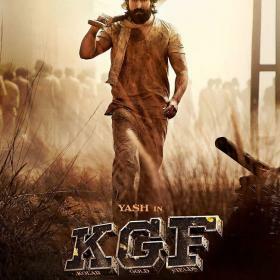 Meanwhile, Yash is all set for the release of his much talked about film KGF that is releasing in five languages. The film will be clashing with Shah Rukh Khan’s Zero this December. It is the costliest film ever made in Kannada and the trailer of the film has received rave response which has only raised excitement among the audience. 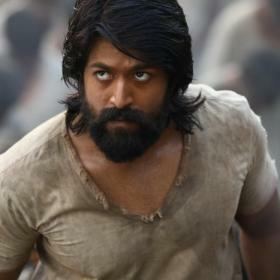 Excel Entertainment’s ‘KGF’ is set against the backdrop of the Kolar Gold Fields in Karnataka. 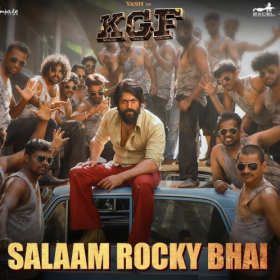 KGF would mark Excel Entertainment’s first Kannada venture. The film that is releasing on December 21 showcases the story of Rocky (Yash) who aims to win the world and conquer the bloodiest gold mine. KGF is a period drama that traces the history of gold mining and the mafia running in the generous fields of Karnataka’s Kolar region. Prabhas is just looking tired and is media shy. He doesn’t look old.